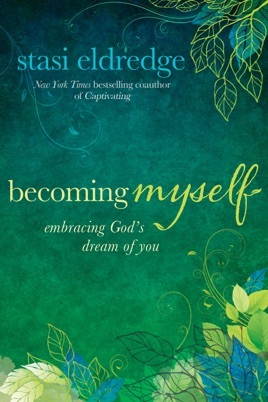 God has dreams—just for you Becoming Myself is a hope-filled book for anyone who wonders if her life will ever change—if she will ever change.In Stasi Eldredge’s most intimate book yet, she shares her own struggles with self-worth, weight, and her past as she shows readers how God is faithfully unveiling who we truly are. 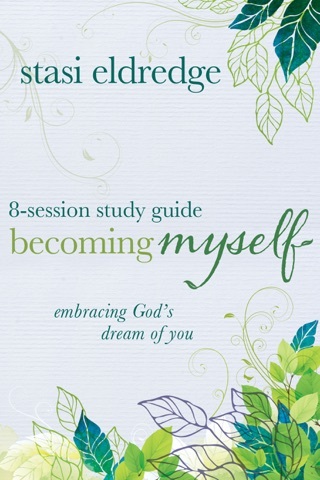 Stasi urges you to lay down your past thoughts about yourself and receive God’s incredible dreams for you instead. We cannot heal ourselves. We cannot become ourselves by ourselves. But we are not by ourselves. The King of love wants to help us become. God desires to restore us—the real us. As he heals our inner life, he calls us to rise to the occasion of our lives. 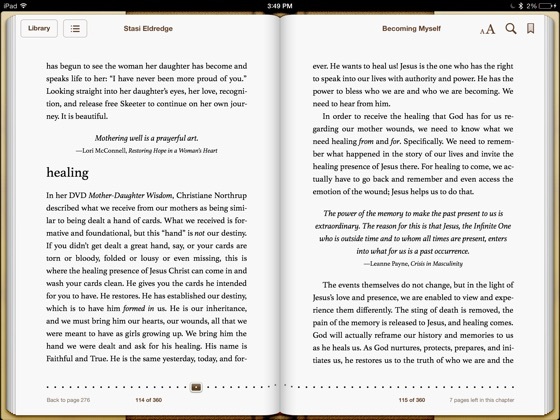 The most important journey any woman can take is the journey into becoming her true self through the love of God. It's a beautiful paradox. The more of God’s you become, the more yourself you become—the “self” he had in mind when he thought of you before the creation of the world. 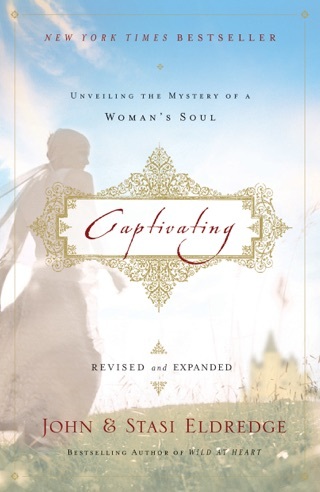 Discover your truest self—the woman God created you to be—in Becoming Myself. 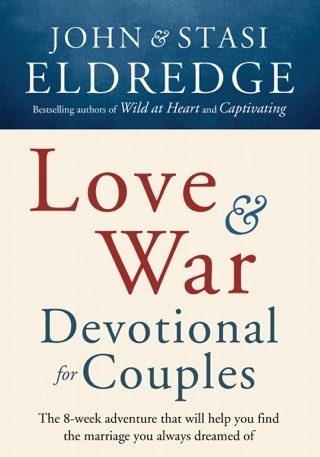 With a writing style that makes the reader feel she is having an intimate chat over coffee with a close friend, Eldredge, who co-authored the bestselling Captivating and Love and War with her husband John, goes solo for this journey to the development of life-changing self-esteem. 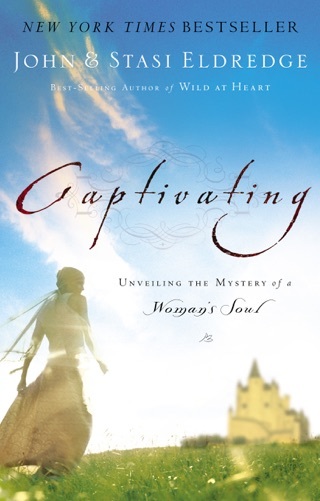 She offers practical ways to embrace the unique dream God has for each woman s life regardless of past mistakes or present feelings of inadequacy. Transformation must happen from the inside out, she says, but until women can see themselves through God s eyes, it won t happen. She offers humor, liberating insights, biblical lessons, and insightful imagery colored by blunt talk and brutally honest personal examples including her battles with weight gain to encourage women to see themselves in a different light. The conversation rambles as chats between friends do, but focus can become foggy. Study notes at the end of chapters or in the rear of the book might have been helpful tools for pulling concepts together and providing ways for digesting more of this meaty food for thought. I'm a guy, but I have to say this is NOT just a book for women and about women. I relate to so much of Stasi's story - especially struggling with food addiction - and I have found so much hope and healing in these pages! I love the transparency and honesty this book offers. It took a lot of courage for Stasi to share what she has here, and you can tell she is secure in knowing how deeply God loves her and sincerely wants to help others experience the same thing. 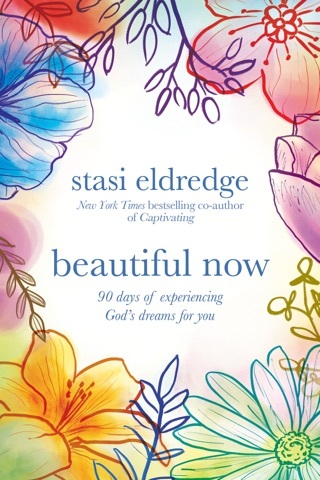 We need more books like this, because the "I became a Christian and now I have an easy, perfect-looking life" are WAY too prevalent right now. And at least for me, that's NOT what I experience on a daily basis. 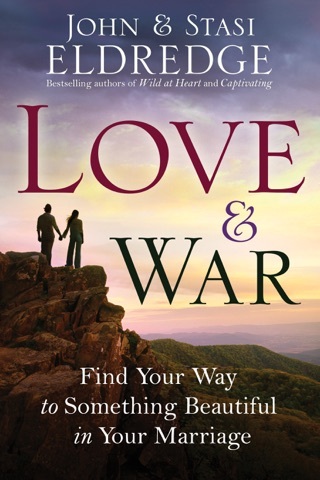 Thank God for books like this - it gives me hope and knowledge that I'm not alone. But that I am loved like no other by Jesus Christ, and that He's with me every step of the way on this journey! This book changed my life. I'm reading for a second time.